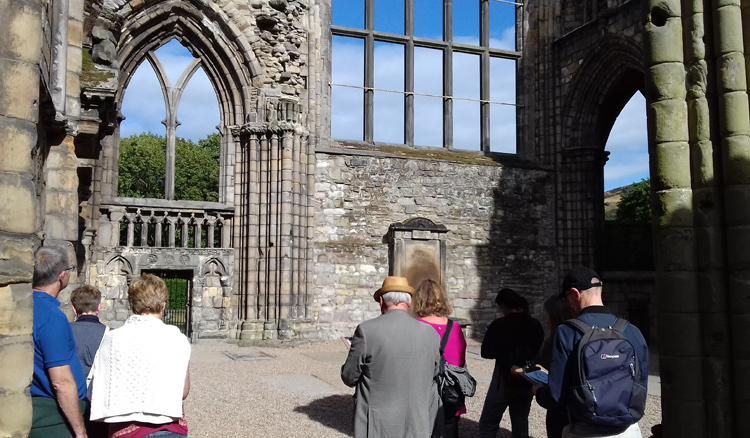 My second sketching workshop around the grounds of Holyrood Palace was a huge success, and it was great to see the beautiful works of Canaletto once again. Friday was such a great day, with a lovely sketching tour around Holyrood in the morning and then a walk through Edinburgh’s festival mayhem to see the opening event of #FiveTelegrams at the Usher Hall. We had a sell out of 12 sketchers for the Palace workshop which is a lovely number enabling me to provide plenty of one to one help to each person, and also as the palace grounds can be busy with visitors just now. We started with a guided tour of the Canaletto exhibition, highlighting some of his Venetian paintings and pointing out some key sketching tips which he may of used to create his compositions. We then toured the grounds including the Quadrant area and Abbey ruins which you can see were superbly captured above. 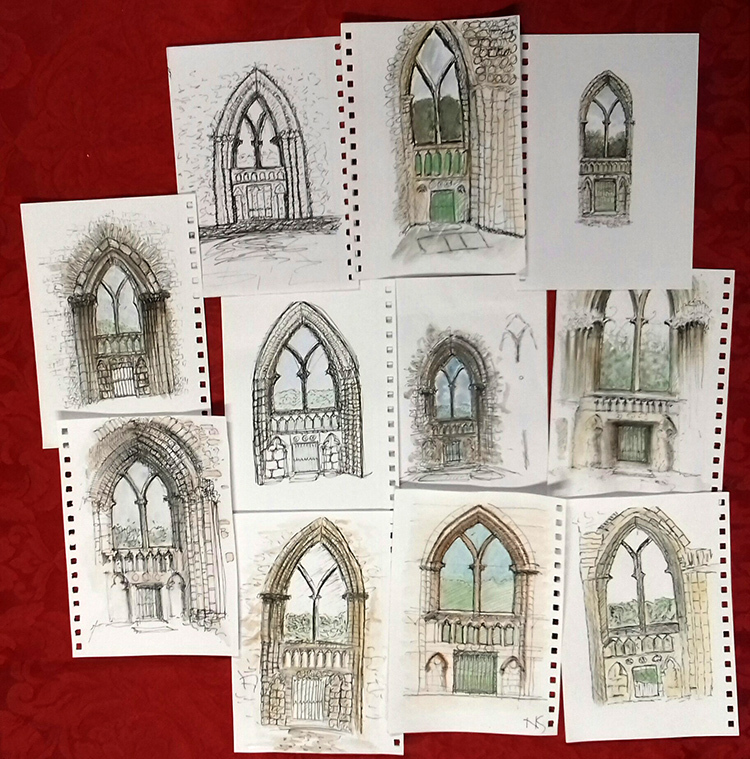 If you would like to come on on of my sketching workshops in various locations around the city, see the Workshops page here.